FIU got its first commitment of the 2019 class from Stone Norton, a 6'3" 190 QB from Nashville, TN (Davidson Academy). Stone is a consensus 3-star prospect. Welcome to FIU, Stone! Nice! Norton, from Davidson Academy in Nashville, Tennessee picked FIU over 9 other offers including Temple, UTSA, Akron, Yale, Dartmouth and others, while garnering interest from Ole Miss, South Carolina, Purdue and others. As a junior Norton threw for 1,832 yards on 107-175 completed passes for 19 TD’s with only 3 INT’s. He ranks as the state’s overall #44 player in composite rankings. Hopefully it sticks! Theres a lot of time between now and 2019. I'm not that excited until the ink dries. 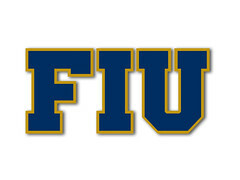 Welcome to FIU Stone! Really love his ball placement, he consistently leads the receiver. With Stone Wilson graduating, it's nice to get another stone in place.